After a storm passes through your neighborhood, it’s always a good idea to check out your roof. Severe weather systems including hailstorms, rainstorms, thunderstorms and snowstorms can leave your roof and other components with a surprising amount of damage. Clear indications of a leaking roof. Shingles in disrepair – missing, broken, lifted, cracked or bruised. Excessive shingle granules in your gutters, a sign that shingles are in bad condition. Cracks in tile, concrete or slate roof shingles. Dented flashing and obvious dents from hail. In addition, heavy rains and wind can bring tree branches down onto your roof, which can be seriously problematic for your home’s structural integrity. It’s not just your roof. Your siding can also be affected by strong storms. If siding is chipped, cracked or full of holes, it will require repair as well.This is not the time to hire an inexperienced contractor with nothing but the most basic of skills just to save a few dollars. It’s imperative that you let a capable team with proven experience restore your siding. You don’t want siding damage to spiral out of control and produce not only stained interior and exterior walls, but hazardous mold growth as well. This could put your family’s health at risk. 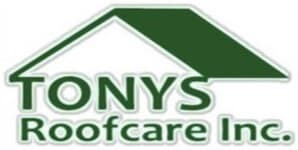 Tony's Roofcare Inc. can solve siding problems and get your home and life back to normal. Reach out to the Tony’s team for immediate help with storm damage to your roof or siding. Call us now at (253) 841-7779 or submit our online contact request form.